A new iPhone case promises to double your iPhone’s battery life without adding inches to its waistline. 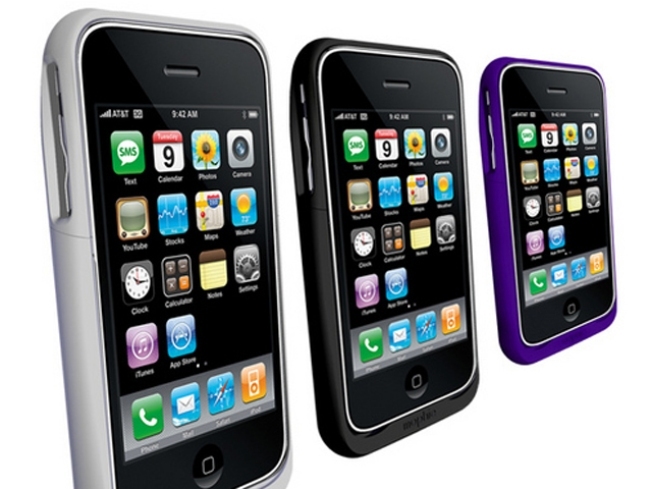 The Juice Pack Air is a protective case with a built in lithium battery and claims to be the "world's thinnest apple-certified external battery" for iPhone 3G. Users can expect up to 20 additional hours of audio, 6 hours of video, and 4.5 hours of talk time. The Juice Pack Air features an innovative "standby mode" that allows users to control when they want to take advantage of additional battery versus simply using it as a protective case. The integrated 4 LED charge status indicates how much juice is remaining. A unique pass-through design allows users to simultaneously charge the battery and sync with iTunes using a USB cable. The Juice Pack Air will be available at Apple stores and online this spring with an MSRP of $79.95.